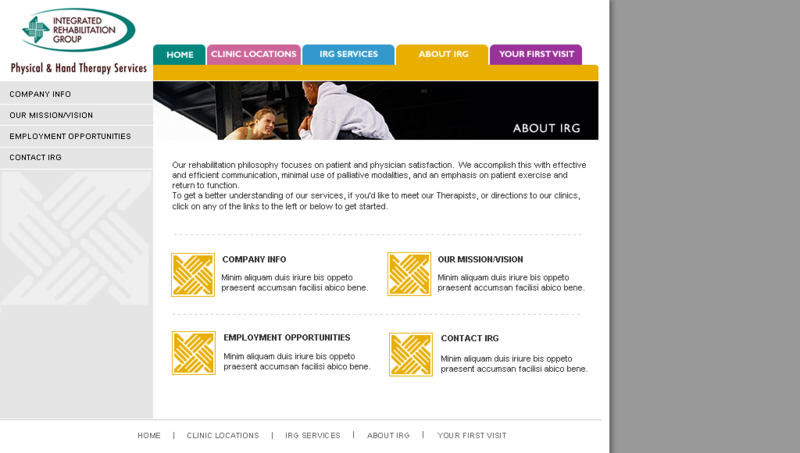 After building version 2 and 3 of IRG’s successful website WV was chopping at the bit to build version 4. 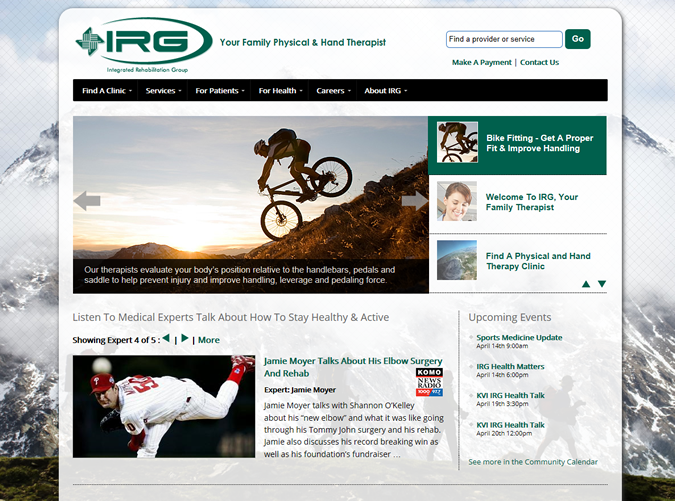 To meet the high demands of IRG’s phenomenal clinic & provider growth we had to completely rebuild their website from the ground up in WordPress. 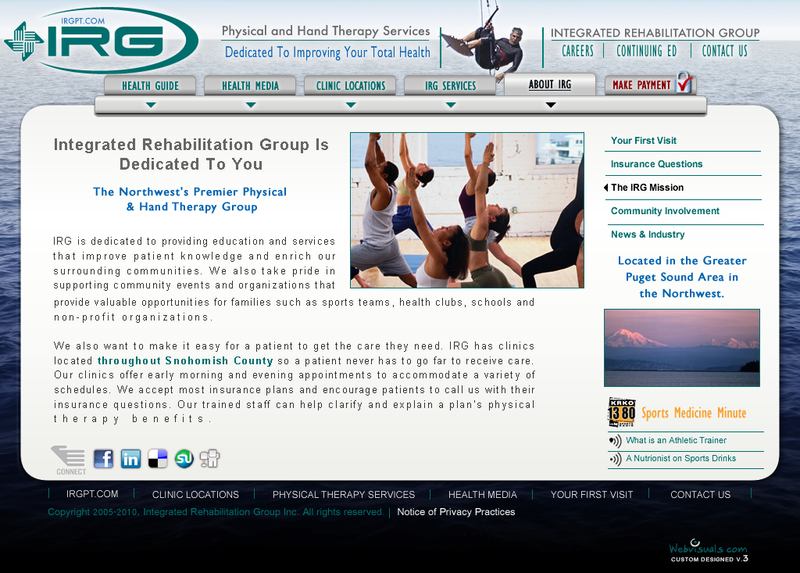 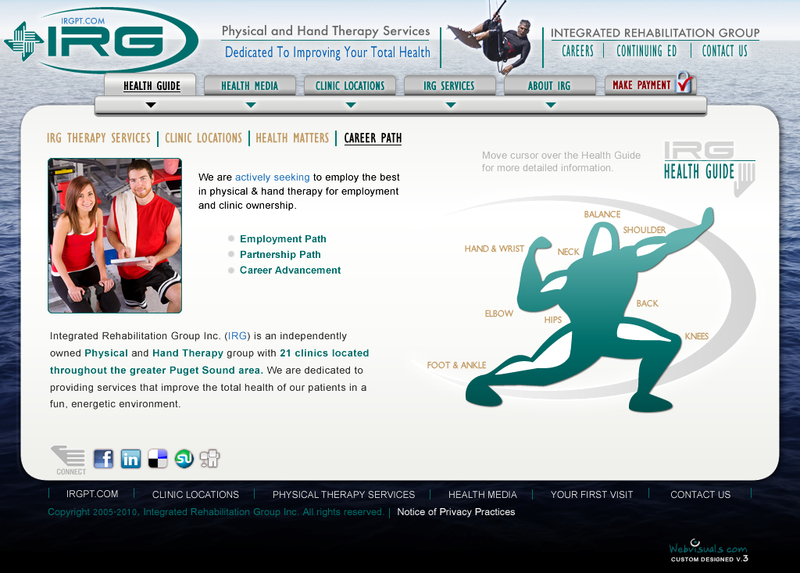 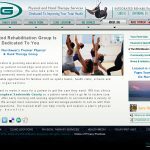 IRG, (Integrated Rehabilitation Group Inc) is a physical and hand therapy group with 31 clinics in the Northwest part of the United States. 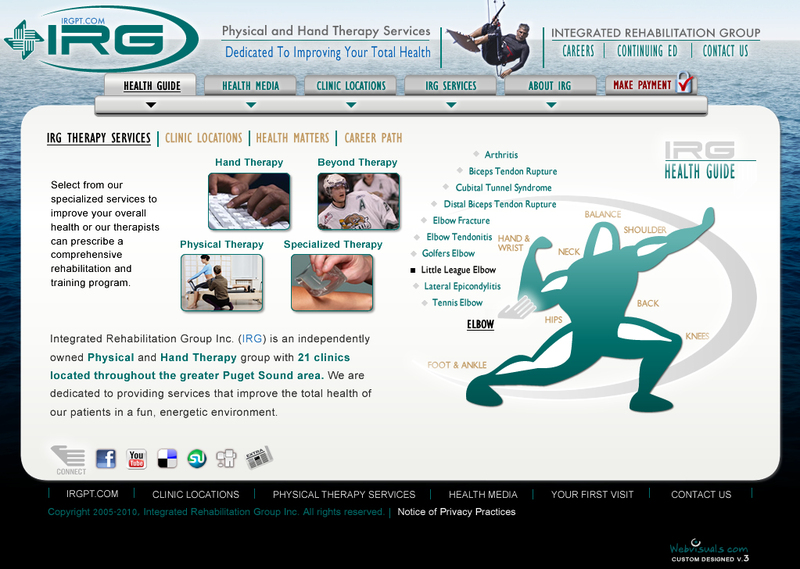 This site has been maintained by Webvisuals.com since version 2 in which most of the site consisted of static pages so it became a tedious chore to add, organize providers, services along with clinics, due to their rapid growth. 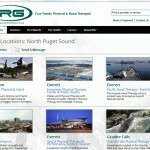 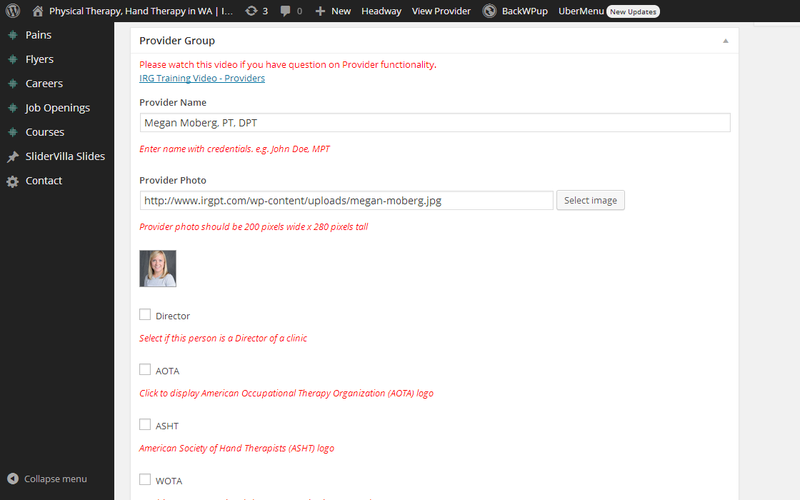 On version 4 we decided it was time to migrate the whole site over to the WordPress platform. 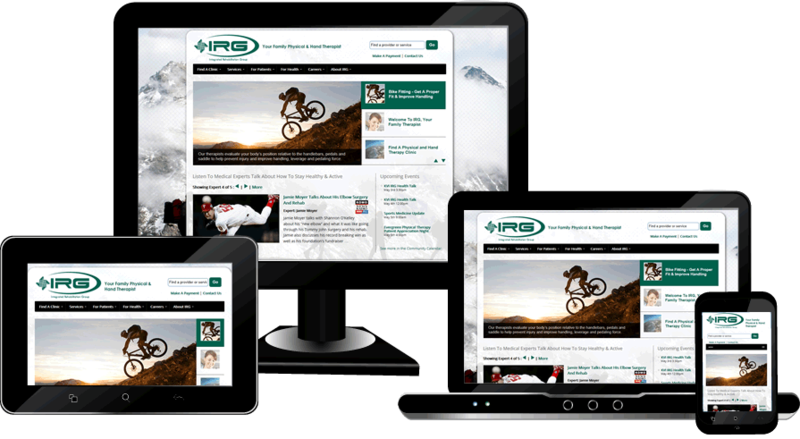 During the information architecture cycle of development it became clear that the original plan of porting over the content into pages and posts would not be enough to meet their demands. 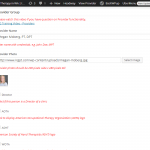 After much research we came across Views and Types and saw the answer to the many demands of the client which only a relational database and SQL queries would handle. 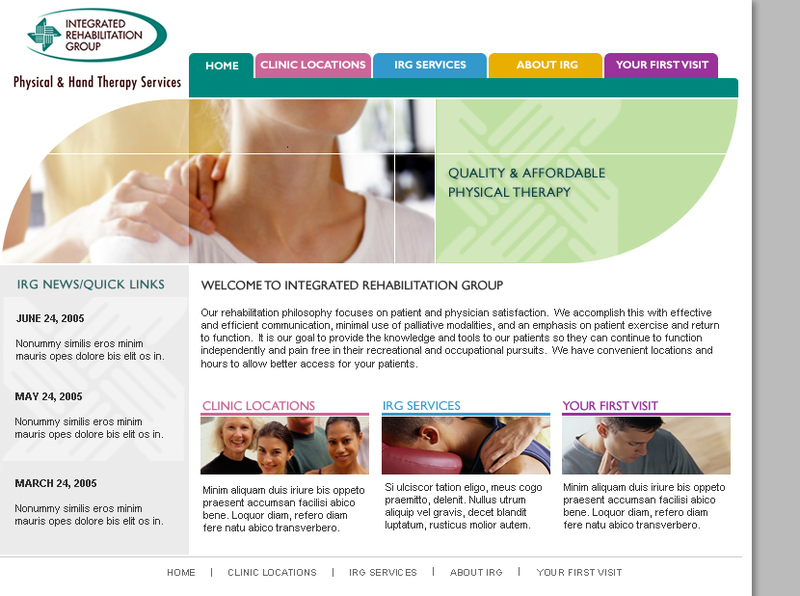 10 month’s later the site is live and the client is thrilled that they can now add, delete and organize all their clinics, services and providers utilizing one easy-to-use interface and see the results live for themselves. 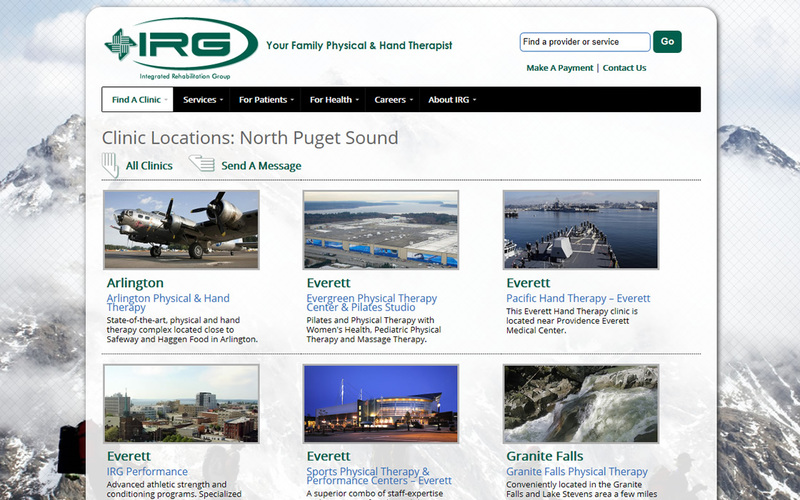 With the luxury of WordPress’s SEO-friendly structure, and a well-researched SEO plan we coded medical web design templates with custom functionality that would embed medical specific keywords to further their organic rankings. 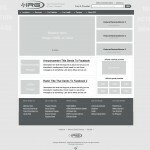 With in 6 months of launch organic traffic doubled. 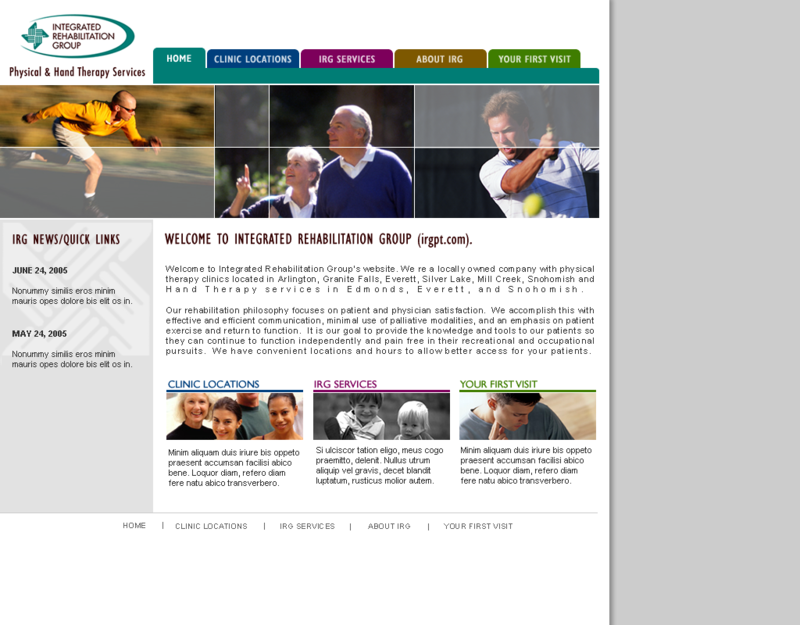 We've worked for a number of years with Webvisuals.com care-taking our web presence and have grown from 10 clinics to 35 clinics in that time. 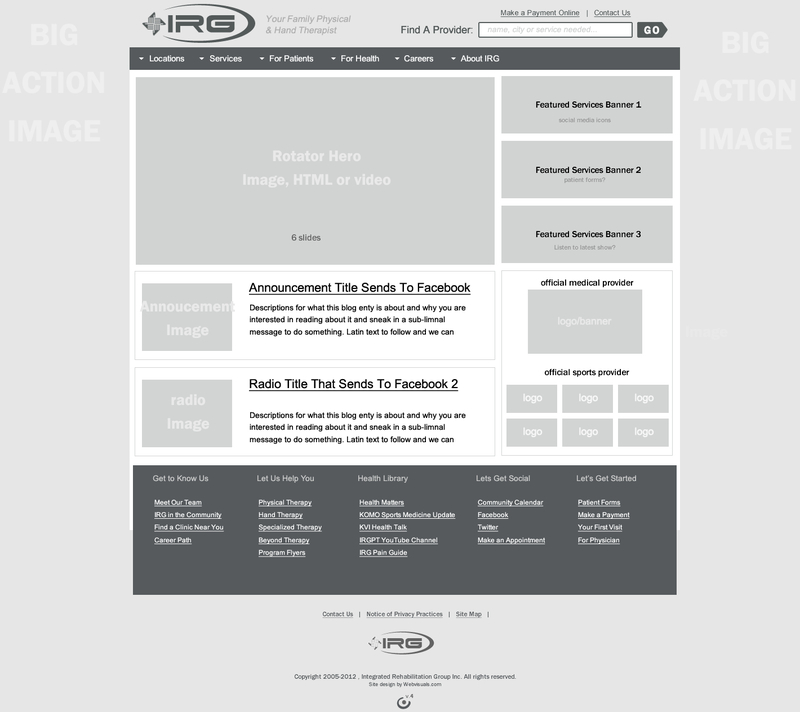 Version 3 Category page mockup.